After years of having his designs stolen by bootleggers from around the globe and turned into unlicensed apparel, Luke Chueh has decided to turn the tables on these unscrupulous thieves by creating his very own apparel brand! Meet Unbearable Apparel, your new go to spot for Luke Chueh tees. 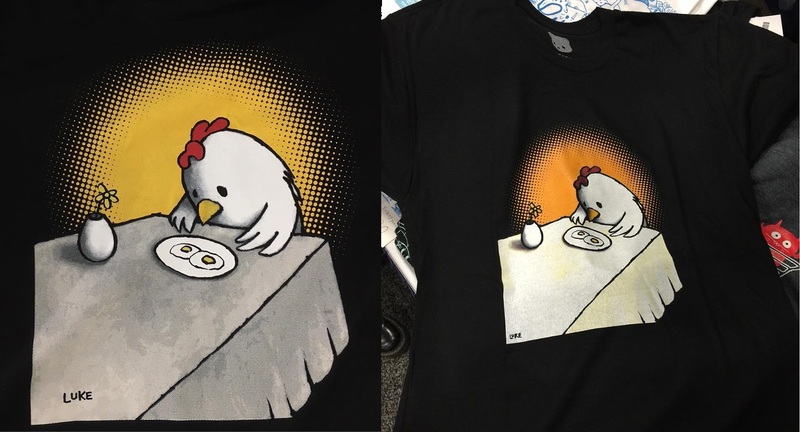 To kick things off, Luke has released this hilarious (and often bootlegged) “I Asked For Scrambled” t-shirt. And seriously, who still orders sunny side up? The Blot can’t wait for more unBEARable gear! The I Asked For Scrambled T-Shirt is available now, in sizes XS-2XL at ThisIsUnbearable.com for $26.